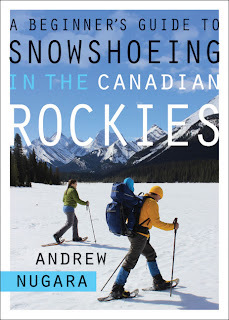 I was very excited when I heard that Andrew Nugara would be writing the first-ever snowshoe guide for the Canadian Rockies a couple of years ago. My bookshelves were filled with guide books on every subject from hiking to climbing, mountain biking and skiing, but a book dedicated to snowshoeing was definitely missing in our library. When we wanted to go for a winter hike we either had to stick to official snowshoe trails, usually so packed down that we never needed snowshoes, or else we had to revisit summer hiking trails and hope we didn't find ourselves in avalanche terrain. There was no real resource guide out there for the average hiker wanting to hit the trails year round other than books on ski touring, which could only take you so far when you didn't want to do glacier traverses or epic backcountry trips requiring winter camping. I eagerly went out to buy Nugara's book, Snowshoeing in the Canadian Rockies, and discovered that the title of the book could have read, Snowshoe summits in the Canadian Rockies. Most trips in the book focused on winter peak bagging with the aid of snowshoes, avalanche beacons, and even ice axes. Sadly, I knew that without some serious avalanche safety training, I wouldn't be tackling too many of Nugara's exciting trips. We also wouldn't be able to use the book as a family guidebook for many years to come. I must not have been the only person a tad disappointed with the selection of easy to moderate trips in this book because last year I saw a note in an Alpine Club of Canada newsletter that Andrew Nugara was looking for photos for his new snowshoeing book, volume two, which would focus less on summiting this time and more on hiking. This book would have trips for the rest of us - beginners, every day hikers, and even accomplished hikers who weren't up for the challenge or excitement of winter scrambles. Volume two, A Beginner's Guide to Snowshoeing in the Canadian Rockies, also promised to have something for families wanting to get outside in winter with young'uns in tow. I anxiously watched the shelves at Chapters for signs of the book's 2012 release and was finally rewarded just before Christmas when I saw a copy on the shelf. What stood out right away was the cover photo, shown at the top of this page, of a family snowshoeing in Kananskis with Junior hitching a ride on Dad's back. 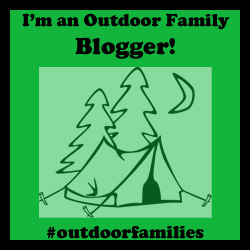 Now this was a book that would definitely have trails for families! I opened the book to the first section and was drawn to six more photos of families playing in the snow, of parents carrying tots in child carriers, pulling kids in Chariots, and having a blast with their children - outside in winter! I nearly started crying right in the middle of the book store at just how awesome this book was for families and how excited I was to see moms and dads getting outside with their kids in the middle of winter. I contacted Rocky Mountain Books immediately and begged for a copy to review because I knew that review copy or not, I would be telling every family I knew to run out and grab a copy of Nugara's new snowshoeing book. I would finally have something to recommend when I got emails from readers asking me for winter trail suggestions. I would be able to direct them to a real guide book and would be able to suggest something other than Troll Falls as the go-to winter family hike. While you certainly don't have to have children in order to find this guide book invaluable, I found that Nugara made sure to include a good selection of hikes across the Rockies that are perfect for outdoor families wanting to be active year round. It's clear as well that Nugara understands the needs of families when choosing a winter trail for a family outing. Everything from Chariot-friendly trails to safety, clothing, gear, and trips focused on having fun and playing games has been covered in Nugara's newest book. Many of the trips do not follow official hiking trails; There is no destination, no specific lake or landmark you are trying to reach. Nugara has simply alerted you to a scenic parking lot with a wide open meadow beside it - perfect for preschoolers and school-aged kids wanting to try snowshoeing for the first (or twentieth) time. Much of the Spray Lakes Road out of Canmore (Hwy 742) has been broken down into jumping off points for families wanting a scenic snowy meadow to play in. By avoiding the official trails, usually too long in distance for small legs, you can focus on having fun in the snow instead of tackling a long arduous hike pulling the kids in a sled when they tire after 10 minutes of trudging through deep snow. Meanwhile, they'll make snowmen, play tag, and chase each other happily around an open field for hours - and not even realize that they are wearing snowshoes and having a blast. If you're like me, you go on hikes in the summer, find a great playground en route, think that gee, you should come back in winter and try this as a family snowshoe trip - but then start second guessing yourself. Has anybody else ever done this hike in winter? Is it safe? Is there any avalanche danger? Is it even possible to get to the trail head in winter? And will we get lost or will the trail be obvious buried under feet of snow? These are some of the questions I've asked myself about hiking trails in the Bragg Creek area. Then I read Nugara's book and had that moment where I said, "It IS possible!" "Somebody else has tried it!" "I'm not crazy for thinking the Paddy's Flats Interpretive Trail would be the most amazing winter hike ever with kids!" I just needed to know somebody else had done it. And would recommend it. There's great reassurance in that, and when I'm taking my child out hiking in winter, I need all the reassurance I can get that I'm on the right path. While familiar with most of the hiking trails in Nugara's book, I've always wondered what some of them would look like in winter. Thanks to the vibrant photos in this guide, I now know I definitely want to try some of these trips as soon as possible! Just seeing the photos of Bow Lake for example made me put this trip at the top of my winter hikes to do this winter as a family. The appendix at the back of the book breaks the trips down for families so that you can start off with the easy trails and gradually progress to harder terrain. The Easy trails are more maintained and hard packed allowing younger children to get a feel for snowshoeing on solid ground before venturing into deep powder. 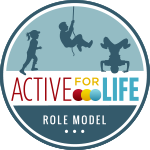 There's also a special appendix just for families with children under the age of three. Trips on this page are generally Chariot and sled friendly, short, and popular. 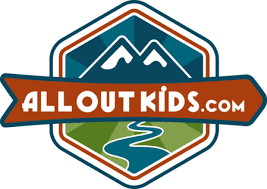 You won't be out alone in the middle of the back country with your baby or toddler on these adventures. I'd actually buy the book for the Appendix alone being a huge fan of organized lists. While Nugara may have titled his book, A beginner's Guide to Snowshoeing in the Canadian Rockies, the word "beginner" need not turn you away from buying the book if you are far from a novice snowshoer or hiker. 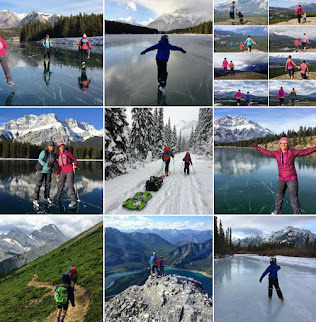 I've done a few of the trails listed as "advanced" in the book (Chester Lake in Kananaskis for example) and have found them to be pleasant, enjoyable, and rewarding - with or without kids. You could easily round up a group of friends for the day and have a lot of fun on many of the trails marked as intermediate or higher in Nugara's guide. Unless you are looking for summits and ridges to ascend in winter, you'll find more than enough trips in this guide book to keep you occupied for years to come. Snowshoeing has exploded in popularity over the last few years and it's largely because outdoor loving people have realized how easy it is to take up as a winter sport. The learning curve is low, gear easy to buy, and anybody with an average fitness level can jump right into the sport. Nugara's newest book provides this growing group the biggest tool they will need in their journey to pursue snowshoeing this winter - a guide to the best trails, powder stashes, and scenic paths in the Canadian Rockies. Disclaimer: I was given a copy of Andrew Nugara's Snowshoeing guide to review. As always, opinions and endorsements are entirely my own. All photography in this review unless otherwise noted was taken by myself and my husband. What useful information! I've never been snow-shoeing, but you make it sound so much fun. I've got a trip planned to Canada on TOGA Airlines this coming Spring. I'd love to try it out.